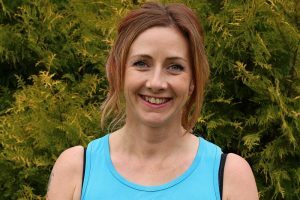 “Weldmar is a charity which is very special to me. They cared for my mum as an inpatient in 2011 and continued looking after myself and my family with the support of Jo Sharkey, the family worker. They have also cared from my grandparents and godparents as both inpatients and day care users. I have now completed 3 marathons and I have run 3-4 times a week and included HIIT sessions and spinning in my training. Fundraising efforts commenced straight away and with the help of my colleagues and we hit the minimum fundraising target of £1400 in 7. We kept going with our efforts and we are now at over £3000. I am very humbled that people are so generous in their giving. 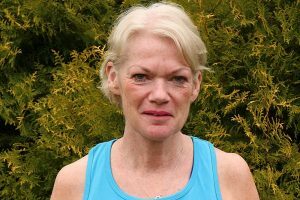 The day of marathon is going to be emotional as the marathon is being held the day after the 8th year anniversary of my mum passing away. I know this thought will spur me on to get to the finish line as I know that my mum would be extremely proud of me. I am lucky to have the support of my husband, 3 year old son and some very good friends who will be there waiting for me at the finish. 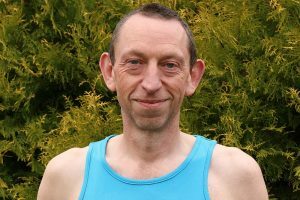 Ralph has sadly had to withdraw from the 2019 London Marathon due to picking up an injury during training. He was worked hard to raise as much money as possible for Weldmar Hospicecare including asking for donations in lieu of presents for his 70th birthday. However, Ralph is still very kindly joining us in London for the race, and will be at our cheer station, supporting and cheering all our other runners. 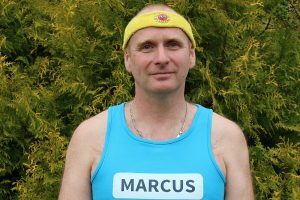 “I have felt privileged to be chosen to run the London Marathon 2019 for Weldmar. I have had fantastic support throughout from Alaine, she has been extremely helpful and supportive even when I’ve asked silly questions about race day. I am running the marathon in memory of my Dad, who sadly lost his battle with Bowel cancer in March 2004, and died peacefully at Joseph Weld hospice. Throughout his short time there, they gave my Dad (Christopher Denning), and all his family fantastic care, compassion and support. They also cared for my Godmother (Pat Baggs) after her battle with cancer. I will forever be grateful for their care, from their fantastic staff and would love to smash my target for them. I know on the day his memory will keep me going, as well as all the crowds lining the route. The hospice is such a calming, relaxing atmosphere, with beautiful gardens and somewhere to spend quality time 24/7, with no limit to visiting hours, with your loved ones. 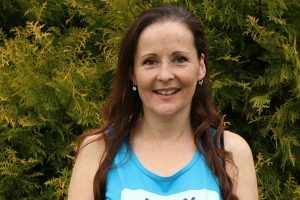 Running the London Marathon has always been a dream of mine, and running for Weldmar is my way of giving something back to them for everything they did back in 2004. I have used the 17 week beginner training programme, and have found it easy to fit round family life and commitments. Unfortunately I had to cut back on training for a couple of weeks, as I came down with runners knee, so had to avoid using my knee and resting as much as possible. I am now back to running gently, and have managed to overcome my injury. I am running 3 days a week, with my long runs on Sundays, and am now tapering my runs with less than two weeks till the marathon. “My name is Lee, and probably like most people I have a personal reason for wanting to raise money for Weldmar. My Uncle, Barry Mason, was diagnosed with cancer a number of years ago and sadly lost his life. The care and support he received from Weldmar was simply incredible. Nothing was too much trouble for the nurses and staff at the hospice, and they made things as easy as possible for my Auntie and cousins during what was a difficult and traumatic time for them. The support that our family as a whole received was nothing short of incredible too. We are a large family and can be heard for miles! But the staff at the hospice made sure that we were cared for and supported when we came to visit, as well as when we congregated in the hospice during his last days with us. Nothing was ever too much trouble. The staff at Weldmar, all the staff, do an amazing job and having this opportunity to give something back to them was too good an opportunity to turn down. 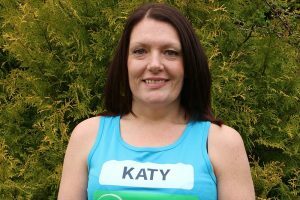 “As part of my ‘before I turn 40’ bucket list, I had planned to run the London Marathon. I was lucky enough to get accepted in 2018 but unfortunately due to a succession of injuries (due to being tragically unfit! ), I had to defer my entry. 12 months later (and now 40!) I am now well on course to make the start line of the 2019 London Marathon. 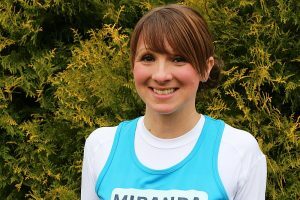 “Weldmar are an amazing charity and have been so supportive in my preparation for the marathon. I am running for Weldmar as my Pop and friends have benefited from their services. In my experience they help make the end of someones life as good and dignified as it can be and importantly support not only the patient but their family and friends through an extremely difficult time. If you wish to run for Weldmar in the 2020 London Marathon, you should first enter the public ballot, which opens after the 2019 race. If you are successful in the ballot, then contact us so that we know you would like to run for Weldmar. If you are not successful in the ballot, we have a number of ‘Gold Bond’ places – guaranteed places in the Marathon – which can be given to runners. Find out more here.